After the initial success in Japan, Samantha kept on strong in the season, competing in all three subsequent events in Los Angeles, Rio and Abu Dhabi. In all of them, however, she was stopped by a strong opponent in Brazil's Thamara Silva. In three matches, Samantha has yet been able to beat the rival. In Abu Dhabi, this past January, they fought one of the most thrilling matches of the season. With a back take in the final 15 seconds, Thamara was able to reverse the scoreboard from a 0-2 to a 4-2 and secure the gold medal, her third in the season. 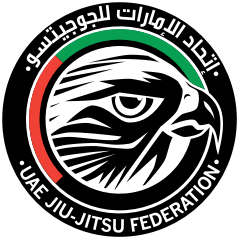 Organized by the UAEJJF, the Abu Dhabi Grand Slam Tour London goes down March 9-10, at the Copper Box Arena. The early registration deadline is February 5 and the final deadline is March 5. Sign up now. Click here for more info. Follow the complete coverage on Instagram at @adwjjt. Watch the matches live on FloGrappling.com.